Following the Underwater Intervention ’14 exhibition in New Orleans, the crew from Seatronics, an Acteon company headed to the sunny shores of Florida Atlantic University (FAU) in Fort Lauderdale for a demonstration to key clients of the new and improved Predator II Observation class ROV. According to those who attended, the demo was impressive. Florida Atlantic University (FAU) was the home for Seatronics’ recent demonstration of the Predator II ROV, the latest addition to the formidable stable housed by the specialists in the rental and sale of marine electronic equipment, covering a range of applications: geophysical survey; navigation and positioning; oceanographic systems; video inspection; ROV survey; ROV tooling and diving and non destructive testing. • Demonstrate the new Predator II system to various top end clients. The Predator systems, IP and manufacturing rights were purchased from Global Marine Systems Limited in November 2012, as Seatronics was looking to increase interest in ROV rentals and develop a small ROV with improved capabilities in fitting Survey Sensors and ROV Tooling. Predator was identified as having the necessary performance, stability and ease of mobilization to meet these criteria. Historically Seatronics supplied operators with Survey Sensors, but no supplier offered a one-stop-shop solution. Today Seatronics, which built its business and reputation as a leading supplier of Subsea Rental Technology and Equipment partly because it offers a complete tested, working system, now offers a complete ROV system with a range of sensors for hire or purchase. 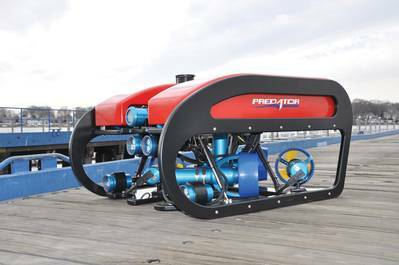 Hand-built by Seatronics, Predator is a 300m-rated inspection class ROV designed to function in all market sectors globally including Oil & Gas, Military, Fisheries, Inshore Survey, Scientific Research, Telecommunications and Energy. 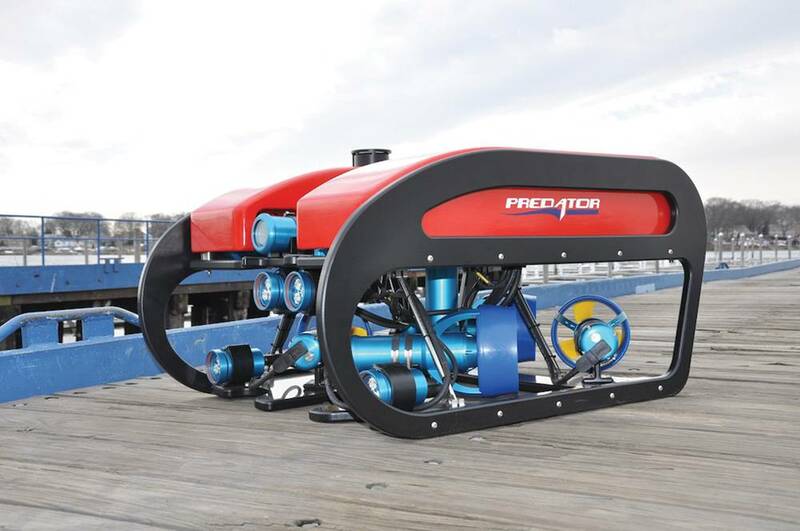 Predator is designed to be compact and portable, easy to use and easy to maintain and is very different and almost unique in fact to the current obs-class ROV offerings currently on the market. The Predator demo at FAU was designed to show the vehicle as versatile and capable under a number of conditions, and the first three days were spent demonstrating the system in a shallow harbor (1-2m) with low visibility (<1m) with no apparent current. A second demonstration site was utilized on the campus in the ICW later in the week in a 2 to 3 knot current. The ROV performed a hull inspection and bridge support structures in low visibility conditions. The demonstration was coordinated by Great Eastern Group’s (GEG) Director of Operations - Bruce Morris at the FAU Dania Beach Campus. Great Eastern Group had performed the research and design developmental testing in the U.S. market for the initial Predator I ROV system. 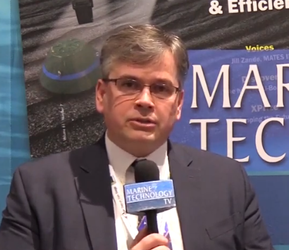 GEG is the distributor for the Predator II ROV system on the U.S. East Coast & Midwest regions. According to guests, the Predator II ROV system was visually stunning and impressed all with the new topside arrangement, a particularly important note as Morris had first-hand experience with the Predator 1 system. Important, too, was that the screen was bright and the general consensus was that it resembled HD quality. The thruster enhancements along with the SeeByte CoPilot system is a dramatic developmental improvement with this inspection class ROV system offering superb mid-water station-keeping, current and wave-busting and object tracking capabilities. Improvements to Predator II were a pervasive theme of the demo, as Seatronics set out to show how its investment in the system could pay off for clients. In particular, since the system was acquired in late 2012, the Seatronics team set out to implement enhancements to the ROV Propulsion system. Seatronics engineers have totally redesigned the thrusters making them more powerful and very reliable. Seatronics found that by working with new materials for its rotary seal, and by using specialized manufacturing techniques, it was able to achieve an almost maintenance-free thruster design with the bonus of a 30% increase in thrust.